Families are an irreplaceable building block of a community, and Mercy Housing is always working to support families in every capacity. To support families, we must understand their needs. Women are important to Mercy Housing communities and represent 60% of the adult resident population. Many of our resident services are designed for families and single mothers like LaVonya. She had an 8-year old son, volunteered at church, and was a naval reservist. She graduated from Columbia College and promptly found a job. In less than a year, she was laid off. That same year her mother passed away leaving LaVonya to look after her 12-year-old brother. Now, she had two growing boys to raise and was out of a job. She needed a home for the three of them, but student debt prevented her from getting a loan to buy a home, while trying to find a new job all at once. She felt trapped. 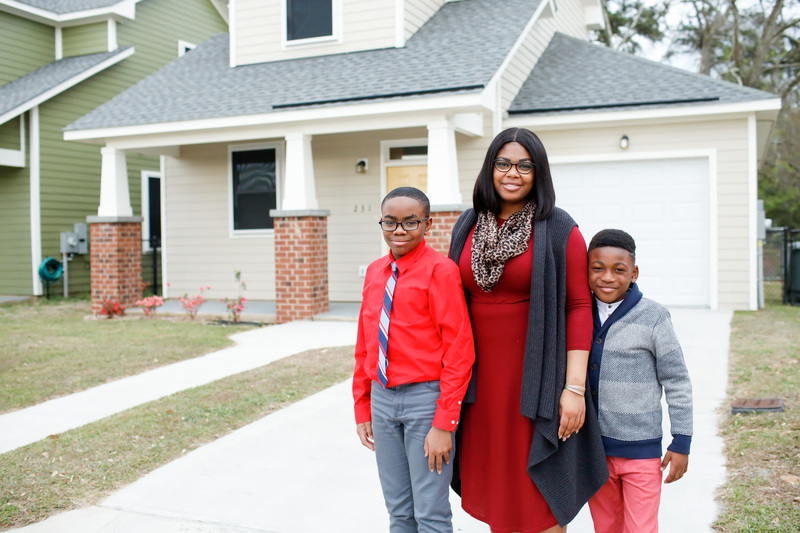 After finding Mercy Housing, the family was able to move into Savannah Gardens and life calmed. A rich variety of services provided LaVonya’s boys with summer youth programs, access to affordable school supplies, and produce from the veggie truck which made routine visits to the residence. Her perseverance never wavered. It only took 18 months at Mercy Housing’s Savannah Gardens for her family to land on their feet. She finished her master’s degree, closed on a new home, and found a job using her degree. She deeply believes that everything worked out due to her faith, hard work, and Mercy Housing’s commitment to her family. For more information about the services we offer women and mothers, explore our Helping Women and Mothers webpage.